Fall is one of my favorite times of the year! It’s a time to witness the changing of the leaves, cook stews and soups, and partake in many Fall festivities that happen in the New York area. 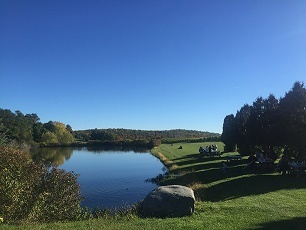 I recently took a day trip with some friends to the Millbrook Vineyards and Winery, which is located in Hudson River Valley. It was absolutely breathtaking! One can see the Catskills mountains in the distance and the weather was especially nice that day so we were able to sit outside and bask in the sun. 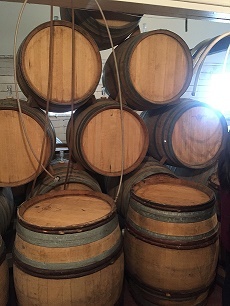 The Millbrook Winery produces both red and white wines. They have award-winning Rieslings. Although their Reislings are good, I actually prefered their 2013 Hunt Country Red wine. It was delicious….and this is coming from someone who loves white wines! This is definitely a place to visit! See more pictures below. #FITip: Exploring your corner of the world can help you appreciate your neighborhood, county, or state in ways that will fill your soul with joy and inspiration and clear out feelings of longing and boredom.